Now that you know how antifungal supplements work, you’ll want to pick a few to include in your own anti-Candida routine. 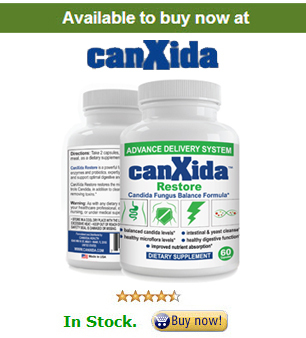 You can either buy 10-12 different supplements for each ingredient or go with an antifungal that has all the 11 antifungal supplement ingredients I recommend canxidaremove as it will cost you 10x less than buying various supplements. Before you read my article I strongly suggest you go through these videos by candida expert Eric Bakker. You will get answer to some of your questions not found here. Some of the most common antifungal supplements are as follows. Caprylic acid is a fatty acid found in coconut oil. Caprylic acid is especially effective at destroying Candida cells. It is usually found in the form of a gel capsule, which will help it to more efficiently travel to your intestines. Coconut oil itself can be ingested instead of caprylic acid supplements, or in combination. Using coconut oil will also help you to add a bit of versatility to your Candida diet. You can generally eat up to 4-5 tablespoons per day. Garlic is known for its antifungal properties and is great for controlling blood sugar and cholesterol and for supporting the immune system. This is another one that you can take in pill form and/or add to food. You can also purchase an oil to use under your tongue or in water. The main antifungal component is a compound known as ajoene. Grapefruit Seed Extract became popular in the 70’s and in the 90’s was found to have properties that performed more effectively than 18 other fungicides available at the time. It’s a non-toxic natural remedy that has the added benefits of vitamins C and E as well as bioflavonoids to repair some of the damage the Candida has done to other cells. Olive Leaf Extract contains a compound known as Oleuropein. This extract is known for having powerful antifungal, antibacterial, anti-parasitic, and antiviral properties with some antioxidants as an added bonus. It stimulates the immune system and helps to stabilize your blood sugar levels – a bonus since sugar feeds Candida. Pau D’Arco isn’t as well-known but is an herb from the Amazon. While it does have antifungal properties due to several different chemical compounds, it can also help to gently loosen the bowels for cleansing. Ginger Root has been used for medicinal purposes throughout history. In the past it was known more for its ability to aid digestion and support the immune system. It has more recently been discovered to have antifungal properties. Tumeric is often included in curries and is known for its anti-inflammatory properties. The active ingredient, Curcumin, stood up well when used against 23 different fungal strains. Candida albicans was included in the testing and the curcumin compound was able to stunt the growth of Candida. Black Walnut, specifically the husks, performed incredibly well during testing against Candida – better than a lot of commercial medications. Juglone, the active ingredient, is now an ingredient in many over the counter fungal medications. Cloves can actually work against the Candida organism not only in the intestines, but in the mouth as well. The various active ingredients act as antiseptics and also boost your immune system. It is most effective when taken as an oil mixed in water. Goldenseal contains an alkoiloid known as berberine, which is believed to stunt the growth of a number of Candida organisms, including albicans. It is also known for improving the immune system by activating the white blood cells needed to help fight off the infection. As with any supplement, make sure you talk to your physician or naturopath before choosing the antifungal(s) you’d like to incorporate into your routine. While all are natural, there are instances where some may not be safe for certain people (ie. pregnant women or those who are nursing). Do your homework and be safe.